The Premier II Pro Catcher builds upon the popular Premier catchers of the past with additional protection and pocket visibility. The Catcher features the excellent D30 material in the palm. This helps reduce the numbers of stingers you are likely to feel when shots are not cleanly taken in the pocket. This acts like a pro palm but on a game ready palm. Sliding the glove on, you will feel the time tested 590 break from the old Koho gloves. This break is a 60 degree break, great for a natural hand closure. The one piece cuff found on the Premier II provides a larger blocking surface whilst showing a large catching area for the shooter to be frustrated by time and again. 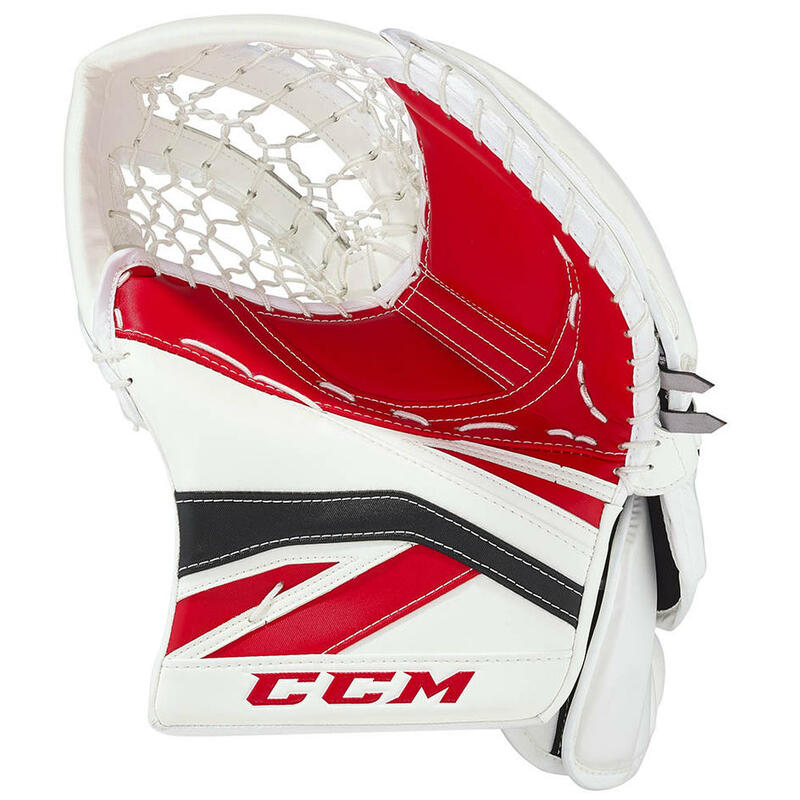 The Premier II has added a double straight T to the pocket thanks to the great feedback from goalies on this feature on the EFlex III catchers. The benefit of having this in the pocket is added visibility in the pocket whilst keeping a nice soft feel for the puck. The spines of the pocket have been stiffened slightly to help keep a better shape and depth. Much of the internal strapping has remained unchanged apart from a new Velcro strap across the fingers to help dial in a better fit. The retail version and colours will be available April 27th. Customise your very own Premier II Catcher here!